The pace of e-commerce is unexpected and even the grocery store can not escape the impact of online shopping. According to media reports, perhaps a couple of years later, stores in your neighborhood may fall into more intense competition, as the Food Marketing Institute and a joint Nielsen report shows that over the next five years , most US buyers will do shopping online. This change is much faster than originally planned. The joint report pointed out that in the next 5-7 years, 70% of buyers will share part of their needs with the online store. This means that they will spend at least 100 billion US dollars on e-commerce platforms. 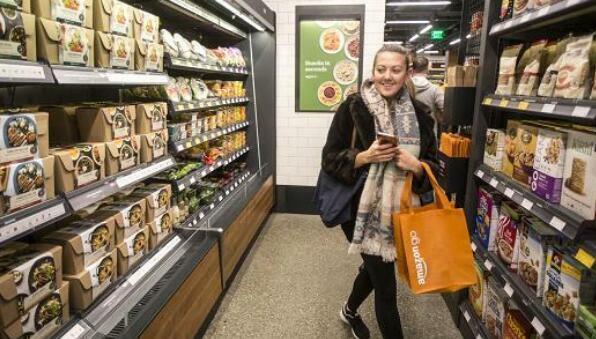 Such a change will surely affect the future of the offline grocery stores, where consumers now spend 80% of their daily purchases on groceries. From a traditional point of view, the grocery industry has nothing to do with the online suppliers. For users, it is convenient to buy in groceries, and the supply chain in this industry is quite complex. Though Amazon’s first unmanned supermarket was also officially opened, more and more the mature delivery service begins to change the user’s expectations. Consumers gradually come to the e-commerce platforms. Under the pressure of e-stores, grocery stores, whether large or small, will undoubtedly emphasize fresh and fast food. Of course, this is just a change, and we will see many more move silently. For example, some brands and retailers start to use big data to make adjustments to prices, user choices and marketing at any time.